Is your living room ready for a revamp? 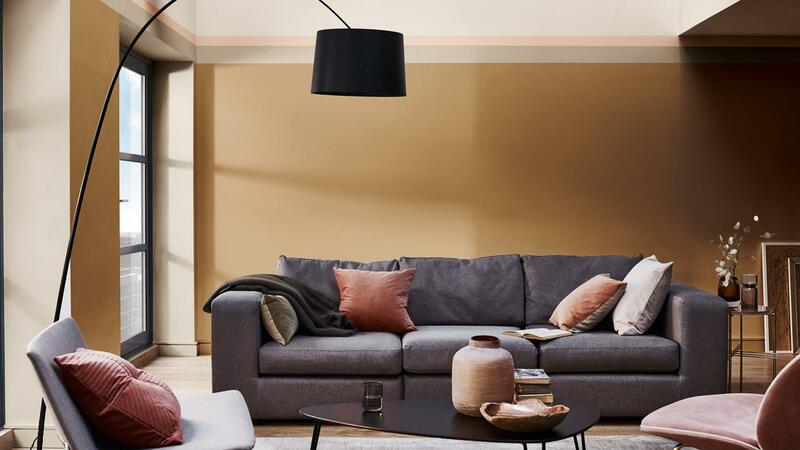 These four inspiring new color palettes – all built around the gorgeous Dulux Colour of the Year 2019, Creme Brulee – offer plenty of style solutions. From intense pigments to create a welcoming mood, to dreamy pastels that will sooth your spirits, there’s something for everyone here. Which look is right for the style of your home? Creme Brulee is at the heart of this refined room, with its atmosphere of low-key luxury. The Dulux Colour of the Year is mixed with a subtle palette of warm neutrals while touches of black bring a graphic edge to the look. The result is a room that combines boutique hotel chic with real home warmth. In this serenely stylish living room, a selection of gently muted pastels is the focus, with bands of Creme Brulee used to highlight the window openings, adding a refined finishing touch to the overall look. Meanwhile, a slim horizontal stripe of a dark mink shade at ceiling height gives definition to the proportions of the room. Perfect for those craving a calm but casual living space. 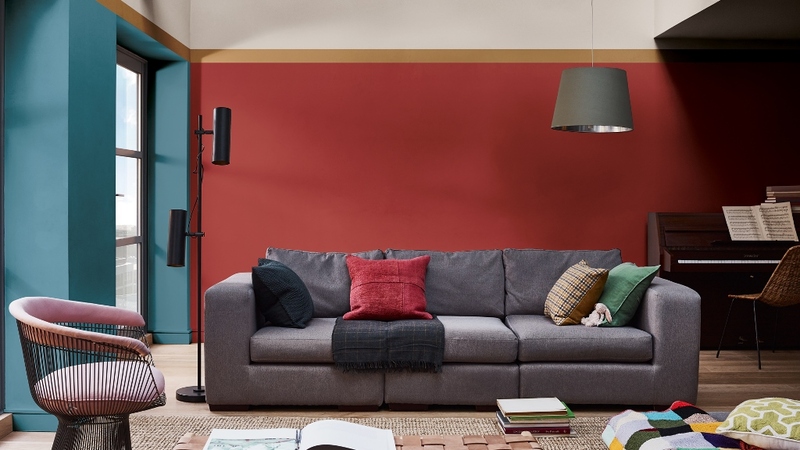 If you’d love a room where friends and family always receive a warm welcome then fill your home with pigment-rich shades like terracotta red and intense teal. Here our Dulux Colour of the Year adds a golden-toned embellishment with a painted band at ceiling height, bringing a mood of comfortable luxury to the space. In this playful scheme, energizing acid yellow is tempered by golden Creme Brulee and muted whites and greys. Large panels of color on the walls and around windows create an engaging, dynamic space that’s perfect for anyone with a young, fun outlook.